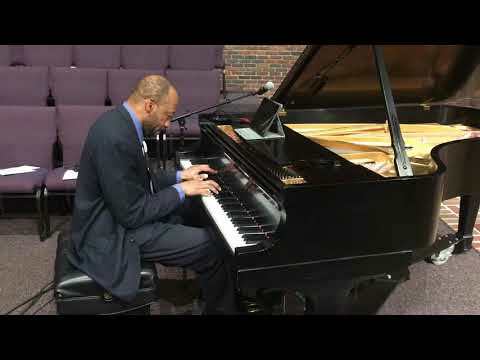 Huntley Brown: "A calling deeper than just music"
I am excited to announce the release of my newest CD: Hymns My Mother Taught Me. This project holds a special place in my heart. As many of you know my mother has entered a new season of life as she was diagnosed with Alzheimer’s a few years. No doubt, this has been difficult, but through the journey, I have found music to be very cathartic. On my last visit to Jamaica, my mother did not recognize me at first, you can only imagine what that did to my heart. The next day I played a few songs for her plus many hymns. To my amazement it was like someone had flipped a switch and mom recognized me again. “Hymns My Mother Taught Me” is a multifaceted project. On one end, it is a tribute to the wisdom of my mother and her grounded faith. On the other, it is a CD of encouragement. Originally I planned this CD as a gift for mom, but with time, I decided to share it with everyone because I know many families are dealing with the same challenge too. My prayer is that these hymns will encourage everyone who listens. I am known for a few piano gymnastics on my previous CD but this one is just simple, quiet and reflective for all those who love the old hymns. Its a reminder that though our seasons may change, the goodness of our God remains the same. This CD has been a blessing to me and I pray it is the same for you. Additionally, you can check out my concert schedule to see if I will be ministering in a city near you soon. I’ll be sure to feature a few songs from this latest CD. Here is a sample of the first song. On the CD its called Londonderry Air but most people know it as Danny Boy. Cd’s are $10 plus $2.00 for shipping and handling. God bless you richly. Thanks again for all your prayers and support. 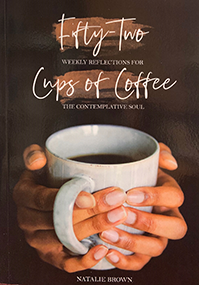 Look for a special announcement coming soon from our daughter Natalie about her new book 52 cups of coffee. Its truly one incredible book and will make a great Christmas present.